Fall is truly here, at least in my neck of the woods. The leaves are in their full brightness and there is a definite chill in the air that wasn’t there a few weeks ago. 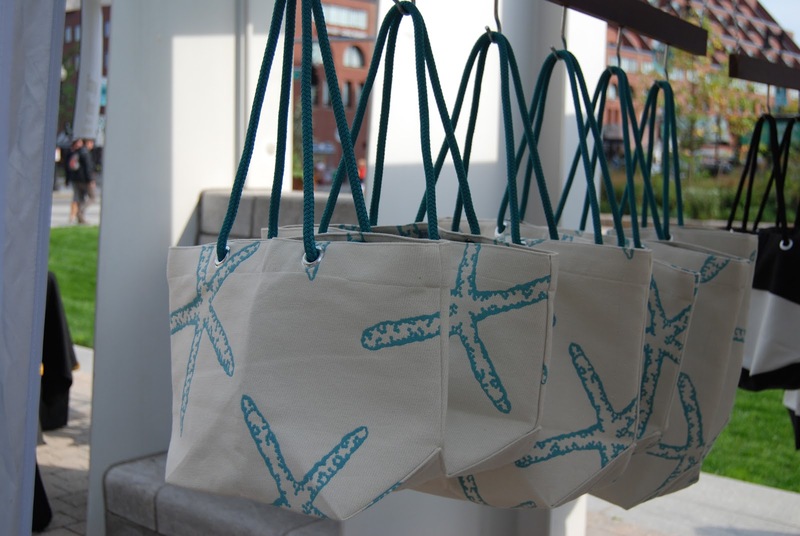 Today’s post will bring you back to summer with gorgeous beach-inspired tote bags in this artist interview. I am very happy to present Bonnie Alexander of Simply Bons. I met Bonnie this summer while taking an Etsy101 class. I was highly impressed by Bonnie’s gorgeous handmade bags and knowledge about running her own business. Having been in the craft business much longer than I, Bonnie has been both an inspiration and a mentor to me, giving me advice and support as I have been working to grown my own. Bonnie not only runs her own creative business, but she does it and sells at markets while simultaneously working at a full-time job that requires a good amount of travel. She is one driven lady! How did you get started making bags? I am a person that needs things to “click” before I know they are right. Yes, this means things take longer for me to realize them, but in the end, they always end up being right. That is the same when it came to making bags. Then life took its course. I went to college for, of all things, accounting, but always took to the arts for my electives. After 8 years at Deloitte and 4 years being a software consultant for Maconomy I found myself living in Asia for the day job. That is when the tough decision needed to be made. I had to decide if I wanted to make the move to Asia a semi-permanent one. It wasn’t long into the trip that I realized the “click” wasn’t happening and something inside just didn’t feel right. I had talked to friends and family endlessly about the decision and when push came to shove a friend gave me the best idea ever. If I chose to come home I had to give it “purpose” and not come home to just come home. That meant giving the business a real shot. No more talking about it as a “what if”, but actually putting the wheels in motion. I did, and I haven’t looked back since. What do you like most about running your own bag business? Simply put, I enjoy being my own boss and having the freedom to design as I please. I make things in the hopes that it will put a smile on others faces, but first and foremost it is my face that displays the biggest smile after I have created something new. Having a day job at the same time as trying to get a business up and running definitely offers its own challenges. Now add in a day job that requires travel and you are in a whole new ballpark. If that weren’t enough, I am a solo business owner, which means all the daily responsibilities to keep the business a float falls on my shoulders. I definitely have to manage my time wisely or things could completely fall apart. What has been your most popular bag? 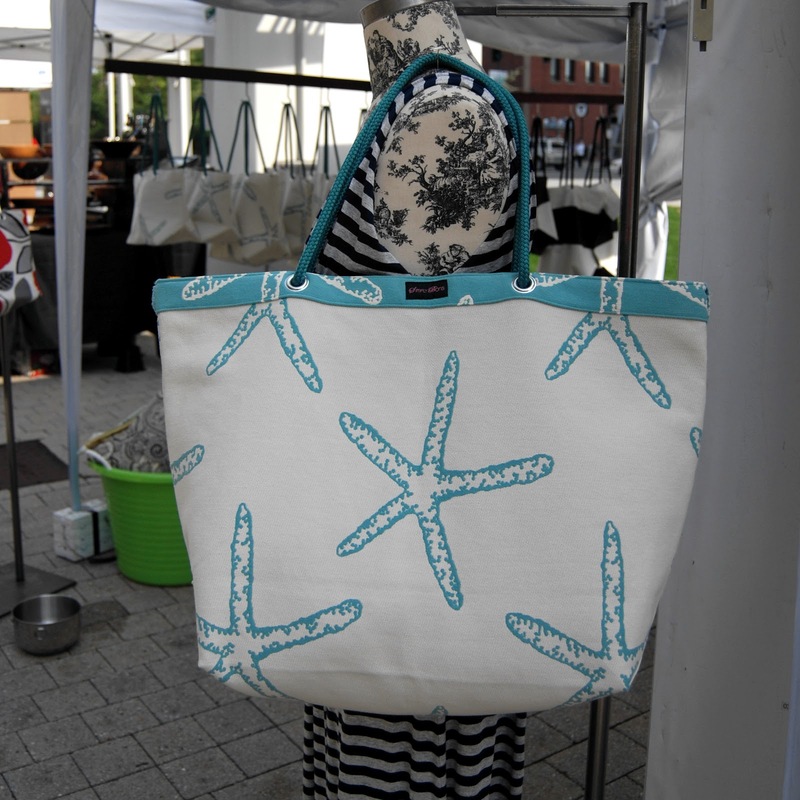 That would be my Starfish Bag. 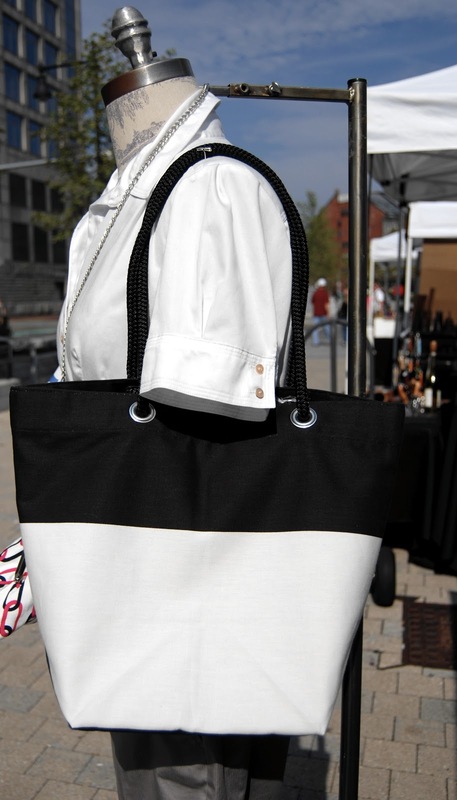 It’s a fantastic, lightweight, machine washable bag that is sure to bring a smile to anyone’s face. This bag is perfect for any occasion. Whether you are taking a quick trip to the store or spending an afternoon on a beach, it is a must. What do you think inspires people to want to buy handmade? I think there are a variety reasons. People like to support what they believe in. People like one of a kind items. Buying handmade inspires handmade in itself. Depending on what you are buying, you usually get to speak to the person that made your item and learn its story. People that buy handmade truly care about what they are buying and put thought into it, whether it is for themself or as a gift. I also think some people secretly wish they could switch roles with us and carry out their own dreams and passions, but if they can’t then in short they will support people they admire. What do you like most about selling at craft markets? Meeting new people. I love being able to meet and talk to new people. I always end up learning something new and generate great friends along the way. 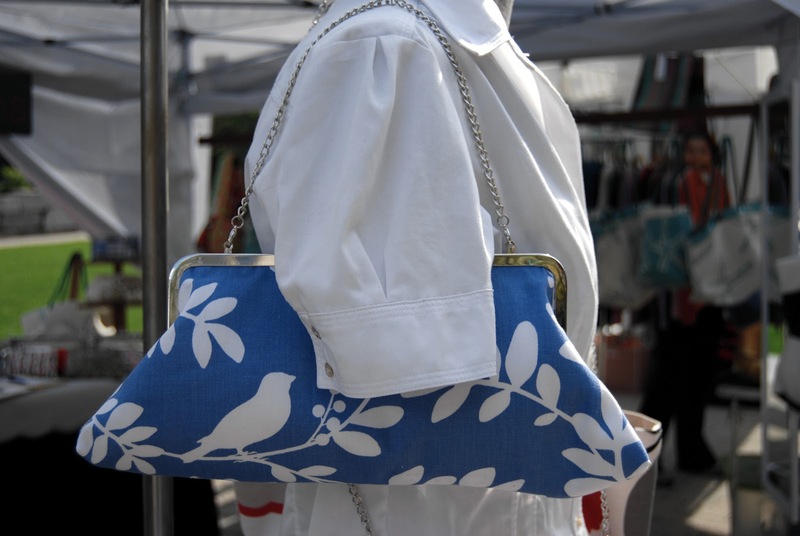 When you are not making and selling bags at markets, what do you like to do with your time? I love to travel, so you may find me trying to plan a trip; spending time with friends and family or exercising. What is the one piece of advice you would offer to others with their own craft business? If you want to see more please more of Bonnie’s beautiful handcrafted products, you can find her on Facebook and Etsy. Her official website should also be launching soon too; more information on that when it comes.